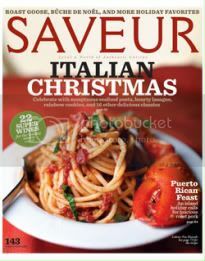 I came home on Friday evening to the December 2011 issue of Saveur in my mailbox, and the cover photo stopped me dead — it may not be vegetarian, but their Lobster Fra Diavolo Italian Christmas feast is simply gorgeous. I still haven't done much (really any) preparation for Christmas but I did want to share at least one recipe with you before we all break for the upcoming Thanksgiving holiday. 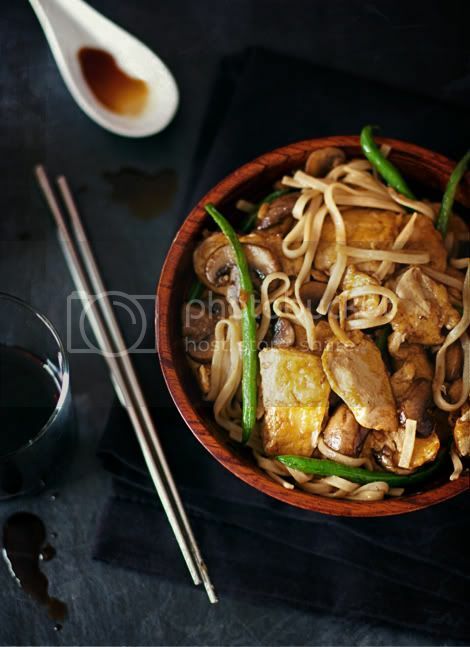 If you find yourself in need of a quick and easy Pure Veg meal during the downtime between the main feast and the following Monday, this stir-fry might do the trick. 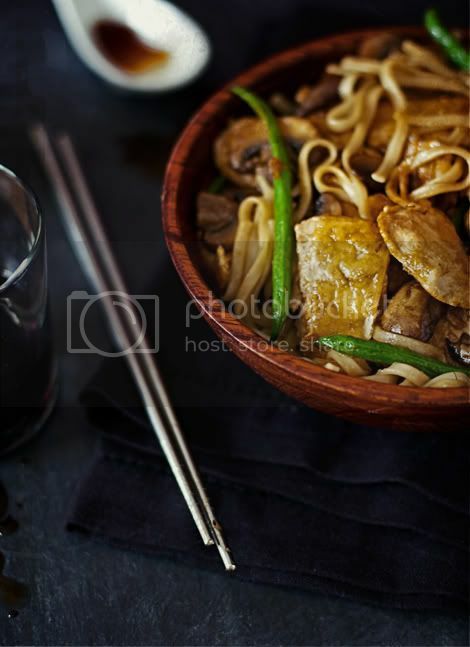 Just a note: I've used udon in this stir-fry, but it would also be wonderful with rice served on the side instead. To start: fill a small saucepan with water and bring to a boil over high heat. Add udon and allow to cook for 5 minutes. Remove from pot and set aside to drain in a colander. In the meantime, stir-fry the vegetables: In a large skillet or wok over high heat, add peanut oil, then green beans and mushrooms. Sprinkle with salt; cook, stir-frying until vegetables are just beginning to get soft but still crispy. Add 1 - 2 tablespoons tamari and cook only a few minutes longer, stirring, until sauce has reduced. Remove vegetables from pan and set aside in a bowl. Prepare the Stir-Fry: Add more peanut oil to pan if it has become too dry. Add Crispy Chick'n tenders and stir-fry according to package instructions, until browned and crisp on all sides. Add udon and cooked vegetables, and the rest of the tamari, and rice vinegar. stir-fry until all ingredients are thoroughly warmed and combined. Remove from heat. Add sesame oil and stir to combine. Serve immediately in large bowls or on plates, with chopsticks.